Fans of shows like Supergirl, The Flash, Arrow, and Legends of Tomorrow have probably wondered if those characters would ever make it to the big screen. Well the executive producer of those shows did just sign on to do a big Warner Bros. movie, but don’t expect any superheroes. Just one super hungry plant. 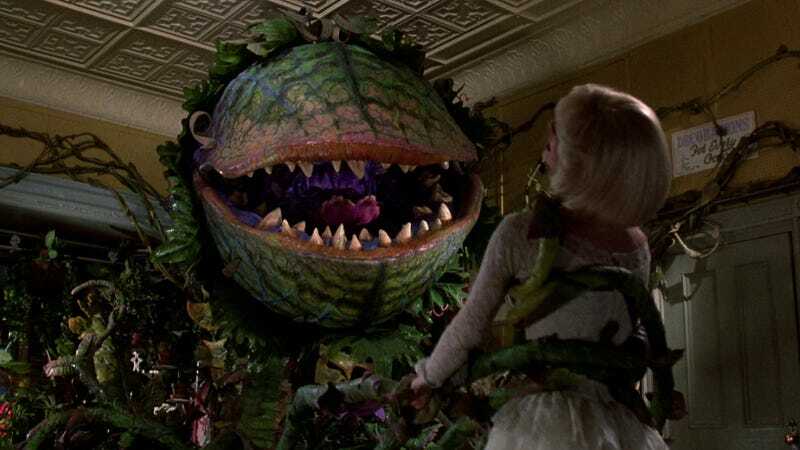 Deadline reports that Greg Berlanti, one of the driving forces behind the CW DC Universe and more, has signed to direct a new musical version of Little Shop of Horrors. The property is based on the 1986 Frank Oz movie starring Rick Moranis, which is based on the 1982 Alan Menken musical, which was itself based on the original 1960 Roger Corman film. Matthew Robinson (The Invention of Lying, Monster Trucks) is writing the script of this new incarnation, which is described as a “fresh version” of the original story—about a meek flower shop worker who finds a man-eating plant, and starts killing people to feed and keep the plant alive. The film versions of Little Shop are both campy fun, and the songs by Menken are catchy. The fact that this is happening, though, feels like one of those “Oh, most people haven’t thought of this in 30 years, let’s bring it back because it’s kind of timeless” ideas. Which is fine. Hopefully, Berlanti has a take on the material that’ll simultaneously pay tribute to the original creators, but also justify its existence. Whether that could be new songs, less violence, more violence, or what, we have no idea.